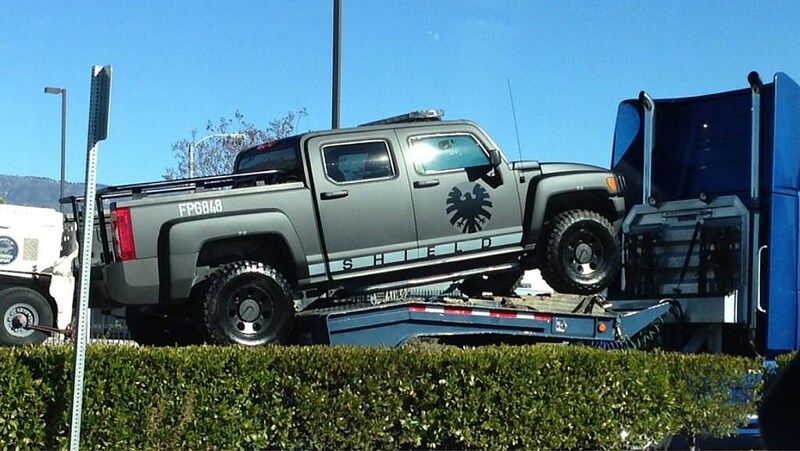 While production on the Joss Whedon-helmed 'S.H.I.E.L.D.' TV series has only just begun, fans of the Marvel cinematic franchise are already chomping on the bit to see the first footage and images from the shoot. ABC has yet to issue an official pick-up for the series, whose pilot will likely debut in fall 2013, though passing on such an esteemed project is seen as extraordinarily unlikely. With production officially commencing this week, how would you like to see a first look at the production of Marvel's 'S.H.I.E.L.D.' TV series? Nonetheless, co-writer Maurissa Tancharoen and a few other sources have tweeted out some small first looks at production, including Whedon on the set and fellow writer Jed Whedon's chair. Most intriguingly of all, the new photos feature a S.H.I.E.L.D. pickup truck, sure to be used in the pilot in some fashion. Marvel’s ‘S.H.I.E.L.D.’ TV series features a cast that includes Clark Gregg’s resurrected Agent Phil Coulson, as well as ‘ER’ vet Ming-Na, Chloe Bennet, Brett Dalton, Elizabeth Henstridge and Iain De Caestecker as the other agents of the team. Nick Fury himself, Samuel L. Jackson also recently stated that he expected to be involved in some small capacity. Check out the first photos from Marvel's 'S.H.I.E.L.D.' TV series below, and tell us what you most want to see in the comments! Filed Under: Joss Whedon, S.H.I.E.L.D.